When Dante Galand was just a boy, his father, Larsin, sailed away to make his fortune. And never returned. Since then, Dante has become a great sorcerer. A ruler. A destroyer of kings. And he's just learned that his father is living on a forbidden island at the edge of the known world. Where he's dying of a mysterious plague. In the company of his friend, the swordsman Blays, Dante travels to the island. There, his magic can do nothing for his father. As Dante and Blays quest for a cure - beset by strange beasts, angry spirits, and violent coastal raiders known as the Tauren - Dante falls sick, too. To save his father and himself, he'll have to rediscover the island's long-lost magic. But the hunt for its secrets leads Dante on a crash course with the Tauren - and island-wide civil war. And as he's away, an old threat begins to move against his homeland. Set in a USA Today best-selling world, The Red Sea is the first in a trilogy of warfare, sorcery, and friendship through the darkest times. The witty remarks are perfectly and accurately presented. Tim gerard reynolds has an amazingly dynamic voice that captures the tense moments as well making the quiet moments of the book enjoyable. If you loved the cycle of arawn, you wont be dissapointed by this. Would you try another book written by Edward W. Robertson or narrated by Tim Gerard Reynolds? 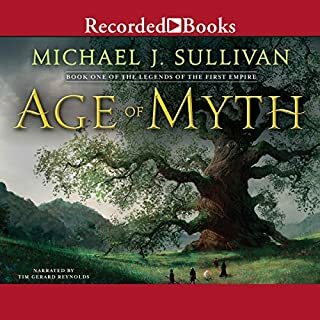 Nothing about this series hooked me this is the second audio book i have ever disliked enough to want to return. Actually didn't listen to it till it was to late to return. Narration was fine, story just had no spark. It's good to adventure with Dante and Blays again! Would you listen to The Red Sea again? Why? Probably not. Robertson's books always feel a little bit like listening to a game of Dungeons & Dragons. It's a lot of fun, but not a fantasy epic I would re-visit on a whim. Great reading by Tim Gerard Reynolds. It wouldn't be half as good without the life he brings to each of the characters - especially the essential banter between Dante and Blays. Sure. Though the plot itself isn't anything spectacular, the way Robertson writes the characters is what makes the journey so fun. Listening to Dante and Blays banter again is like reuniting with old friends. 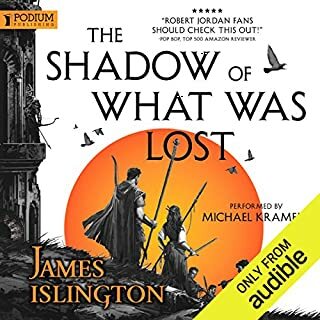 If you're just looking for a fun, but violent fantasy adventure, and nothing too deep, this should be a great listen. 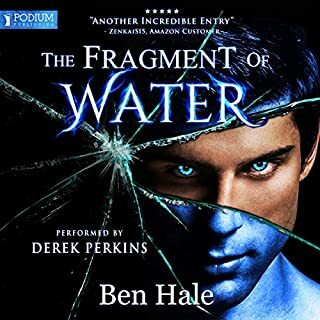 You can't listen to this without going through the Cycle of Arawn trilogy first. It would be just too difficult to follow the story or understand the important references it makes to events taking place in the previous books. 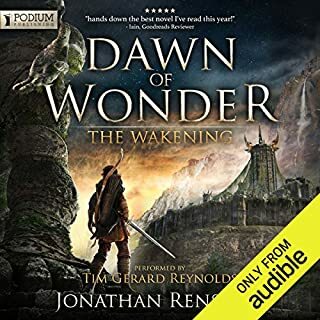 A good narration of the continuing story about Dante and Blays and the magical use of the nether and ether as danger unfolds and truth and lies abound in their journey to finally get back home. Lots of new characters along the way. A good listen but not too absorbing. Could easily listen again next year . it was an average book with midocer characters that where not likeable or on interesting. overall this book was not for me. the storyline so fat was weak and very simple. I like storyline that builds up towards the end of the book. which this doesn't really achieve. Was expecting more from the story than I got. It was all a bit predictable. 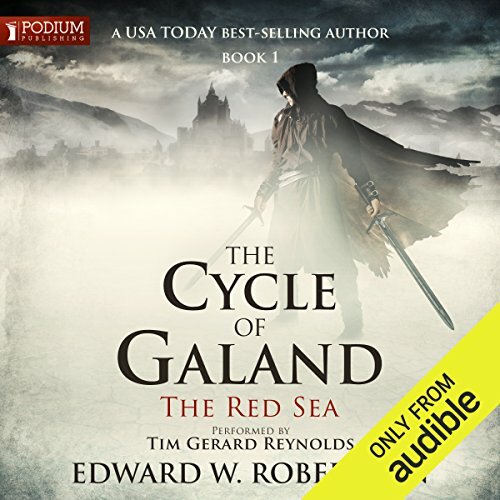 Where does The Red Sea rank among all the audiobooks you’ve listened to so far? One of my favorites. After going through all 65 hours of the Cycle of Arawn I was left wanting more. 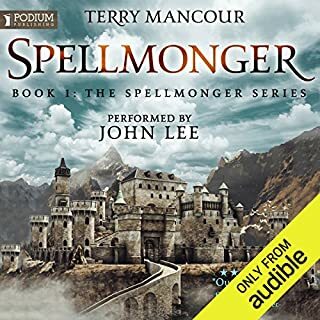 This is the perfect follow up and I can't wait for the next book to come to Audible. This takes Dante and Blays off to new lands with lots of new characters and so many twists and turns it makes the story fly by. What was one of the most memorable moments of The Red Sea? The final battle was great but it's really the back and forth between Blays and Dante that makes these stories great. Whatever situation they get in its always great to see what type of plans they come up with to try and make it work no matter what. He has mastered these characters and this world. His narration is superb and draws you into the story. 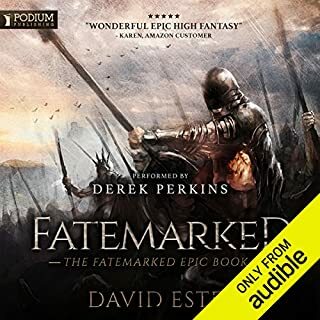 Between this and The Cycle of Arawn I've spent 80 plus hours listing and Tim always keeps your attention with his narration. I'm looking forward to the next book and couldn't imagine it with him as the narrator. You can never leave your past behind. 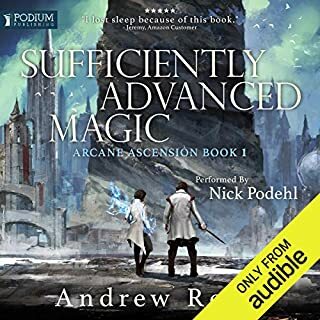 I don't think you need to read or listen to The Cycle of Arawn first to enjoy this book but I'd really recommend it. 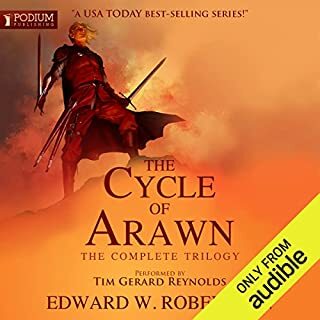 For an audible title The Cycle of Arawn is one of the best values in their library. 65 hours for one credit that left me wanting more. The Cycle of Galand delivers, it's so nice not to be let down by a sequel. To me this was on of the best of the series and I can't wait for the next book. 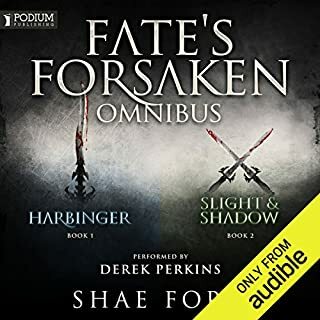 Fantastic Sequel to The Cycle of Arawn! Some months ago, I was introduced to Mr. Robertson's work via a one-credit download of The Cycle of Arawn. My initial elation from having downloaded over 60 hours of programming for a single credit was swiftly overtaken by the joy of having found a new favorite author/story/world of which to go on and on about to my friends. The Red Sea continues in glorious fashion, much to my immense satisfaction! The Cycle of Galand is shaping up to be a wondrously exciting epic in its own right! If you could sum up The Red Sea in three words, what would they be? I usually do not write reviews but i was impressed with the quality of the book, I want to know more about the characters and what is next on the next book. 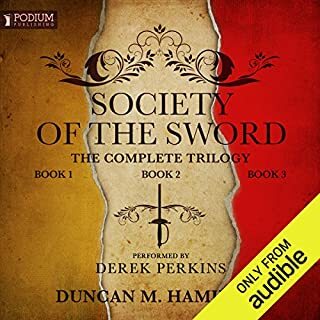 Audible has the 3 previous books bundled together, i recommend you use 1 credit to download the first trilogy then listen to this book. What a great book! I had recently re-listened to Cycle of Arawn and was reacquainted with Dante Galand and Blaze Buckler. 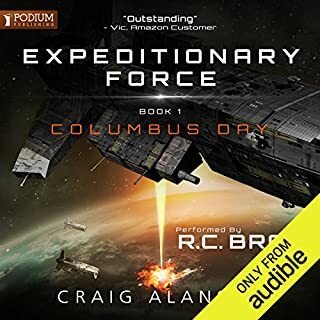 This story transitions smoothly from the previous trilogy to a completely new adventure that stands alone, but I would recommend listening to the previous trilogy first. Off the two go to find Dante's long lost father in parts unknown. The relationship between Dante and Blaze continues to evolve and is actually one of the highlights of this story. The storyline is tight, suspenseful, and brought to life with the sensational reading by Tim Gerard Reynolds, one of my favorites. 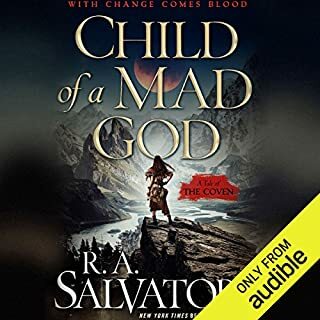 As much as I enjoyed the Cycle of Arawn, this story is even better. The climax is extremely suspenseful with surprising twists, and sets up nicely for the next chapter of the Cycle of Galand. I can hardly wait. Trying to like it, but can't. After reading the reviews I was excited to dive into a new series. After over 5 hours of listening, I am going to move on. The writing is great, but the story is so boring and drawn out! I wish I would have tried the sample first, but I thought with all the great reviews I would love it! The story remains as engaging as the first trilogy. As before the narration by Tim Reynolds is astounding and perfect for Robertson's story. I'm excited about buying the physical copies of this and the three other books while waiting for the rest of the series. Narration good. Story not emotionally engaging, characters uninteresting. Finished it but won't continue the series. Dante Galand is back and humorously gloomy again. 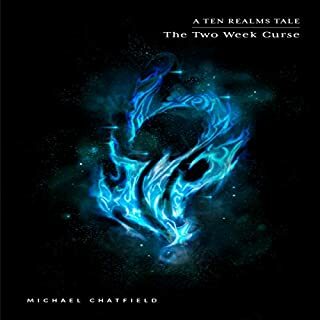 If you hadn’t listened to “The Cycle of Arawn”, then go listen to it first. 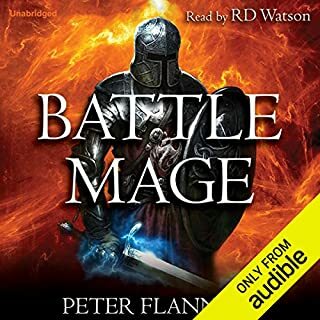 It’s great, you can get the entire 66 hour trilogy for one credit on audible right now, and it introduces you to two of the most pessimistically funny fantasy adventure characters I have seen in a book series for a while; Dante Galand and his best buddy, Blays Buckler. Anyway, this book “The Red Sea: The Cycle of Galand” is a follow up to all the chaos Dante and Blays caused, ether on purpose or by complete accident, to elevate Dante’s rise to power. So while the book is great on it’s own, it does have a lot of flash backs that are referencing the first trilogy. In this book Dante makes a half-hearted attempt to gain some closer with his childhood…only to have it completely backfire on him. It’s a bad day when you get trapped on a dangerous tropical island with an insane magical disease and full of backwater political ambitions that want to use you to for their own ends…or kill you. Am I right or am I right? 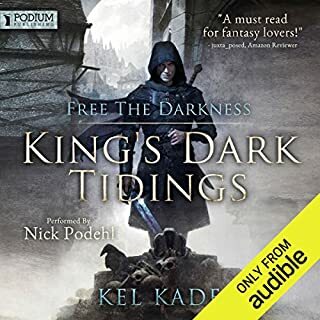 Tim Gerard Reynolds is back narrating Dante’s latest pickle after his spectacular performance with “The Cycle of Arawn” trilogy. 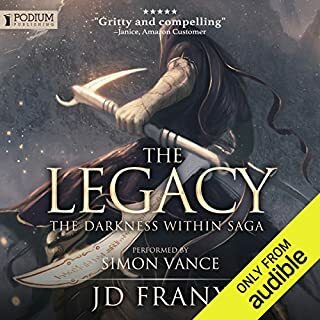 Highly recommended audio book here, especially for those you love adventures where the protagonists half to improvise in order to survive. 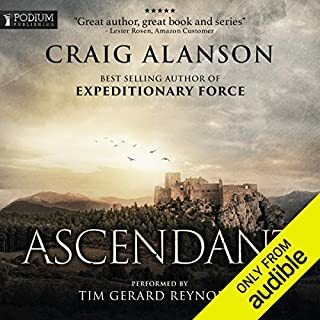 Amazing read (or listen) great story line and I like how the main characters don't stumble into trap after trap and survive by some outrageous miracle. Definitely will be following Mr Robertson from now on. I've already added the rest of his books to my wish list!! After reading The cycle of Arawyn I was really excited to find out that there was another trilogy in the making. Continuing the story of Dante and Blays this book did not disappoint. 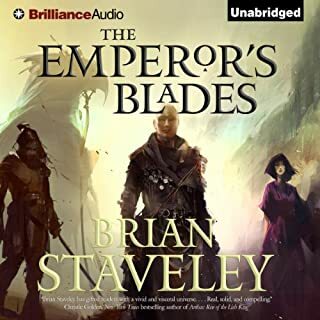 The narrator was excellent and I'm glad that he was the same narrator that narrated The cycle of Arawyn. Can't wait for the next books to finish off this trilogy. Im not that impressed either with the story, the way in which the characters are drawn, or the authors command of the English language. I really took exception to the very 'modern' words he injected into the characters dialogue and the way he used the word 'shined' instead of shone. Ok if your doing shoes but not for describing light from the sun. The story is a parody of itself, often lapsing into palsyed dialogue on how endlessly trivial it is. Loved this! Was delighted to.discover that the boys were back! Laugh out loud funnies along with the serious side. Highly recommend this! After a few duds words can't describe I happy I was when 20 mins into this book I realised it was a follow on from the cycle of Arawn. Enjoyed every second. After all the adventures we shared with Dante and Blaze I was excited to see what they'd do next. My one gripe with this book is that we got a lot less from Blaze. In the last book we got a lot of character development from him and got to see things from his point of view and I really think he could have written some of the chapters from Blazes point of view. Also Dante seems to have forgotten that he can perform elisions with the neither. Overall this was a great book and I look forwards to the next instalment. As always the chemistry between the two main characters was absolutely great and I really liked all the new bad guys as well. Really good story by Edward W.Robertson and performance by Tim Gerard Reynolds. I recommend this audio book.